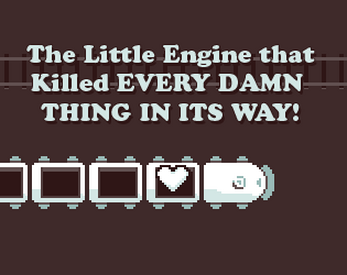 Play as the ghost of a damsel in distress that possessed the train that ran her over, and get revenge for yourself! If you've got a controller plugged in, you should be able to use the sticks, dpad OR face buttons to control the train. If you're on a keyboard, just use the arrow keys. All progress is saved, and you've got as many lives as you need!